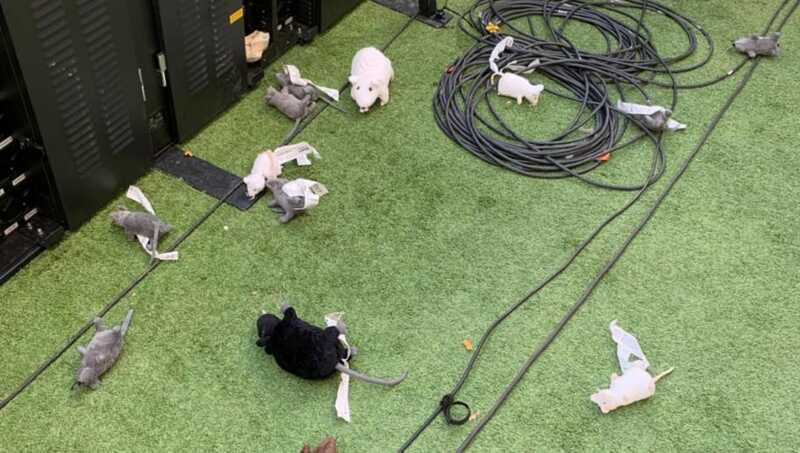 ​Thibaut Courtois was abused and pelted with toy rats by angry ​Atletico Madrid fans at the start of the Madrid derby in La Liga at the Wanda Metropolitano. Apart from being whistled at every time he touched the ball, ​AS report that Atletico fans also held up a banner calling the ​Real Madrid keeper a rat. Atletico Madrid fans have been angry at Courtois ever since the Belgian made his move from Chelsea to Real Madrid in the summer of 2018. Some Atletico fans also destroyed Courtois' plaque outside the Wanda Metropolitano which was in memory of his time spent at Los Rojiblancos. And, when it was restored, they placed a red cross, three fluffy rats and adverts for brothels on it. Speaking ahead of the fixture, Courtois said on the prospect of abuse: "I don't mind. If that makes them happy, then good for them. If they want to throw things at my head, it won't affect me. It's more motivation." Courtois eventually had the last laugh as ​Real Madrid ran out comfortable 3-1 winners in the derby.